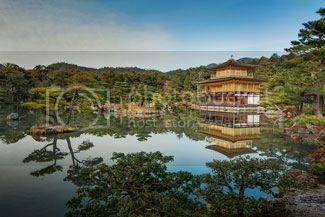 Kyoto is famous for its history, architecture, and the natural beauty of its surroundings. It boasts 17 UNESCO World Cultural Heritage sites and over 2,000 temples and shrines. Home to 37 institutions of higher learning, Kyoto is a recognized centre of academic excellence, research and innovation. Its leading industries are information technology and electronics. 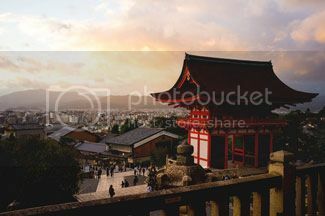 The city is also the center of Japan’s television and film industry, and remains famous for its traditional Japanese crafts and sake brewing industries. In 2014, Travel + Leisure Magazine ranked Kyoto as the world’s best travel destination. Persons interested in attending ITS Kyoto 2017 would do well to leave plenty of time on either side of their visit to take in some of the city’s historical, architectural, and cultural offerings and to experience its natural beauty. The deadline for abstract submissions is February 20, 2017. Full details on the Call for Papers, including directions on how to prepare and electronically file abstracts, are available on the Kyoto Conference website at www.itskyoto2017.org. Online registration is now available. Individuals planning to attend this Conference are reminded to register online before the early bird deadline of May 14, 2017 to secure substantial savings in registration fees. Additional savings in registration fees are available to all ITS members in good standing. The Kyoto Conference website also provides very helpful information on hotel accommodation, including a selection of moderately priced hotels, and distances and travel times (subway + walking) from hotels to the Conference venue. The Conference will begin with a welcome reception on the evening of June 24, 2017. A banquet will take place on June 26, and a farewell buffet will be held on June 27. Conference sessions will be spread over two and a half days, starting in the morning of June 25. All sessions and related activities will take place at the world-renowned Kyoto International Conference Center. Individuals with Conference-related inquiries are requested to direct them to secretariat@itskyoto2017.org. The 2018 ITS Biennial Conference will take place in Seoul, Korea, June 24-27, 2018. The theme of the 22nd ITS Biennial Conference is Beyond the Boundaries: Challenges for Business, Policy and Society. The Call for Papers (CFP) for the Seoul Biennial will be issued in July 2017. Further details on this Conference will be disseminated to all ITS members via the ITS-L Listserv and the ITS web site at www.itsworld.org once they become available. Additional coverage will also be provided in future issues of Interconnect. The Conference will be hosted by three of Korea’s leading academic and scientific institutions and associations: the School of Media & Communication, Korea University; Korea University Research Institute for Information & Culture (KU RIIC); and the Korean Association for Information Society (KAIS). Individuals interested in attending this Conference may wish to add a few extra days to their Korea visit as there is much to see and do in Seoul and nearby areas (including the DMZ or Demilitarized Zone in the north and beautiful Jeju Island in the Korea Strait at the southern end of the country). 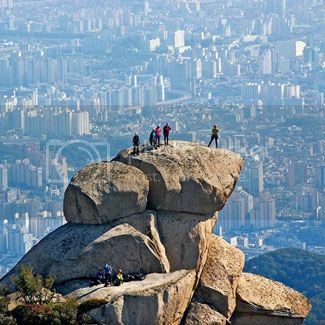 A city of some 12 million people, Seoul is the financial, commercial, political and cultural capital of Korea. Although more than 600 years old, Seoul has managed to preserve much of its traditional architecture while simultaneously showcasing some of the most modern and dazzling buildings in the world. Like other metropolises, it is a city that never sleeps, as visitors to its many fascinating night markets and other nocturnal haunts can well attest. It also offers visitors and residents alike a clean, modern and efficient municipal transportation system. For travellers wedded to their smartphones, tablets and/or personal computers, please note that Seoul is expected to extend free WiFi accessibility to all public spaces and modes of transportation before the end of 2017. The 28th European Regional ITS Conference will be held in Passau, July 30-August 2. 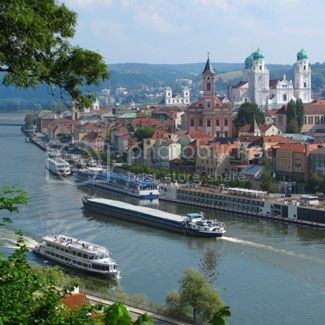 Located in Bavaria at the confluence of three rivers (the Danube, Inn and Ilz), Passau is one of Germany’s most picturesque cities. 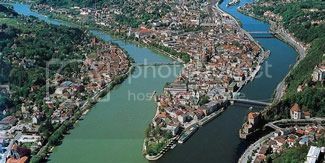 Passau’s origins can be traced back at least two millennia. A part of the Roman Empire for more than 400 years, Passau later became the largest diocese in the Holy Roman Empire and, during the Renaissance and early modern period, was renowned for the high quality of the swords, knives and other precision-ground blades crafted by its artisans. When much of the city was destroyed by fire in 1662, Passau’s gothic Old Town was rebuilt in the Baroque style. Among the architectural masterpieces of that era is Saint Stephen’s Cathedral with its distinctive onion-domed towers. In 1928, what was then the world’s largest cathedral pipe organ was installed inside, further adding to the allure and enduring appeal of the Cathedral as a destination of interest. 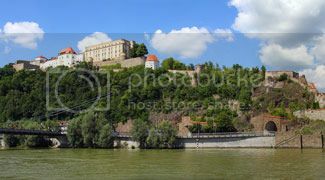 Overlooking the city from a hilltop high above the Danube is Veste Oberhaus, a 13th century fortress and former stronghold of the Bishop of Passau. Presently housing a local museum and observation tower, the fortress dominates the city’s skyline much as it has for the past eight centuries. These and many other historical, cultural, and architectural attractions await participants of ITS Passau 2017. The theme of the Passau Conference is Competition and Regulation in the Information Age. Complete details on the Call for Papers, including specifications for — and how to electronically submit – abstracts, are available on the Conference website at: http://www.itseurope.org/2017/call-for-papers. Authors are reminded that the (non-extendable) deadline for submitting paper abstracts and proposals for panel sessions is March 30, 2017. The Conference will begin with a welcome reception on the evening of July 30, 2017. Conference sessions will be spread over two and a half days, starting with the opening plenary session and Keynote address the morning of July 31. Confirmed guest presenters include Professor Ingo Vogelsang (Boston University) who will speak on Regulatory Inertia versus ICT Dynamics. There will also be a special panel session on IP Interconnection in the Information Age featuring Dr. Cara Schwarz-Schilling (Head of Internet Regulation at the Federal Network Agency), Harald Summa (CEO of eco, Association of the Internet industry and DE-CIX), Dr. Falk von Bornstaedt (Head of Peering & IP-Trading, Deutsche Telekom) and Prof. William Lehr (MIT). All sessions and related activities will take place at the University of Passau, the Conference host. Lunches on the first and second days of the Conference will be provided to all registered attendees. Coffee and refreshments will also be provided on all three days of the Conference. The social program for ITS Passau 2017 includes a Conference dinner on the River Danube on August 1, as well as guided city and cathedral tours on the afternoon of August 2. All Conference-related inquiries should be directed to ITS Vice Chair, Professor Jason Whalley, at jason.whalley@northumbria.ac.uk. We look forward to seeing you in Passau this summer. In the thirty years since the founding of ITS, communications has evolved from a discrete industrial sector to the critical infrastructure that underpins activities and transactions throughout economies and societies and, indeed, across the globe. The quality and availability of networks, access to the content produced and carried on those networks, and government rules and policies relating thereto, now impact and determine the prospects and trajectories of individuals, families, cities and nations. It is no exaggeration to say that, in the Internet age, digital policies are very much social and economic policies. The policy dialogue has also evolved in the last 30 years. While discrete, national-level policies remain important, many issues (privacy, cybersecurity, digital societies, net neutrality, etc.) have an international dimension and the accompanying policy dialogue needs be equally broad in geographic reach. ITS has an important role to play in facilitating this global policy conversation by providing a non-aligned, non-partisan forum where members drawn from government, industry and academia can meet to analyze, discuss and develop policy options that address these pressing issues. …ITS focuses on the evolving applications, services, technology, and infrastructure of the communications, computing, Internet, information content, and related industries. The goal of ITS is to research and analyze issues related to the emergence of a global information society. The organization places particular emphasis on the interrelationships among socioeconomic, technological, legal, regulatory, competitive, organizational, policy, and ethical dimensions of the issues it addresses. As the Mission Statement goes on to describe, the most important forums in which our members gather to share and discuss new research and policy ideas are our Biennial Conferences, annual Regional Conferences, and other local and regional symposia, seminars, workshops and courses. ITS has two major Regional Conferences planned for 2017 – the first in Kyoto, Japan (June 25-27) and the second in Passau, Germany (July 30-August 2). The Calls for Papers for these Conferences were issued late in 2016 and are posted on each respective Conference website, as well as on the ITS website at www.itsworld.org. The deadline for submitting abstracts for the Kyoto Conference is February 20, while the deadline for abstract submissions for the Passau Conference is March 30. I would encourage ITS members and non-members alike who might be interested in presenting a paper at, or simply attending, one or both of these events, to please visit the Kyoto and Passau Conference websites and consider how well they reflect many of the above-described attributes of Conferences that are as engaging as they are professionally worthwhile. (For ITS Kyoto 2017, please see: http://itskyoto2017.org and for ITS Passau 2017, please see: http://www.itseurope.org/2017/). I’m confident you’ll agree that each of these Conferences is likely to meet or exceed the benchmarks by which our members assess the quality, attractiveness and value of the major events ITS organizes. A further benefit available to all ITS members in good standing who attend either of these Conferences is the reduced registration fees they will be required to pay. Add this benefit to the significant savings available to all participants and attendees (whether ITS members or not) who register online before the respective early bird registration fee deadline for each of these Conferences, and there is every reason to add ITS Kyoto 2017 and ITS Passau 2017 to your Conference calendar this summer, not to mention the additional incentive to sign up on the ITS web site at www.itsworld.org for an ITS membership or membership renewal if you have not already done so. I look forward to seeing as many of you as possible in the months and years ahead and to engaging you in discussions on the issues and subjects of greatest interest and concern to the telecommunications and broader ICT industry. I also welcome your thoughts on how we can make ITS more relevant and valuable to you and to the broader ICT community. ITS currently has 20 corporate members, 10 of which are Global Corporate members. 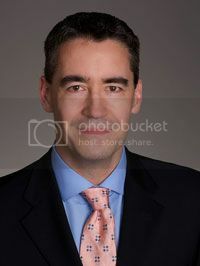 Included in the latter group are Arnold & Porter LLP (UK), AT&T (USA), Deutsche Telekom (Germany), KDDI Research Institute, Inc., (Japan), Orange (France), Telecom Italia, NERA (USA), the National Broadcasting and Telecommunications Commission (Thailand), TELUS (Canada) and TIM Brasil. There is no better time than the present for any corporation heavily engaged in the ICT field to become a Global Corporate member of ITS. Individual and corporate memberships in ITS have grown significantly over the past decade. At the moment, ITS has some 300 fully-paid individual members from over 40 different countries, including Canada, the U.S., Australia, New Zealand, Brazil, Mexico, a number of countries in Asia, Africa and the Caribbean, and most countries in Europe. ITS also interacts with over 1300 ICT professionals on a weekly, if not more frequent basis, through regular communications over the ITS-L Listserv. In addition, more detailed information is exchanged regularly with this diverse, technically skilled and highly educated audience through the online publication of Interconnect, as well as through the ITS web site at www.itsworld.org. Should your organization wish to inquire further about Global Corporate membership in ITS, please do not hesitate to contact ITS Chair, Stephen Schmidt, at Stephen.Schmidt@TELUS.com, ITS Membership and Nominations Committee Chair, Anders Henten, at henten@cmi.aau.dk or the ITS Secretariat, Don Romaniuk, at secretariat@itsworld.org.